...that in #Basque language there is not a word for "Basque resident" or "Basque from origin"? They say that the language reflects the way the people thinks. In Basque, one of the oldest languages of Europe, there has not been a word to say that someone was born in the Basque Country like it is meant by the English words: "French", "Spanish", "Italian" or "Greek". 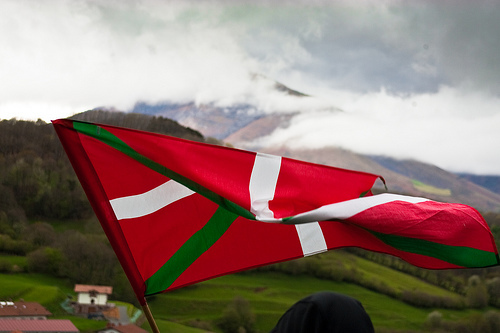 The word by which Basques refer to themselves for thousands of years was "euskalduna", literally "Basque speaker". This reflects someway the love and the importance that in the Basque Country is given to the language. And maybe this can have some relationship with the fact that this language, which according to historians, was already spoken in the Pyrenees when Julius Caesar conquered the Gauls, has survived in this corner of Europe even though the languages nearby where as strong (in terms of power and number of speakers) as Latin first, Arabic and Romance (which converted into Spanish, French...). It was only in the 19th Century when the new word: "euskalherritar" was invented by Sabino Arana. This new word allowed to have a word in Basque for those people born in the area of the Basque Country but without any reference to the language they speak (normally Spanish, French or Basque).